For months, brands have leaned heavily on Snapchat's biggest celebrities to run under-the-radar campaigns that subtly promote their products in the form of sponsored posts that are seen by influencers' millions of followers. Now those creators are beginning to mark branded content with disclaimers that adhere to the Federal Trade Commission's guidelines. Unlike other platforms like Instagram and Twitter where social celebs typically have to clearly label their content as paid endorsements, sponsored content on Snapchat has been murky for marketers until recently. Snapchat doesn't have any strict rules for content creators to abide by, and it can be difficult to find misleading content since posts automatically disappear within 24 hours. But this week, a handful of the platform's biggest stars—Shaun McBride, Josh Peck and the Eh Bee Family—have posted copy that is marked with hashtags such as #paid, #ad and #sponsored to indicate that their posts are paid for by brands. "With more influencers creating content on Snapchat, you're seeing everyone follow along [with FTC guidelines,]" said Nick Cicero, CEO of Delmondo, a startup that pairs up influencers with brands. "The widely accepted industry best practice is still using #ad and you see more influencer campaigns being executed on Snapchat—it's a universal understanding." Yesterday, McBride—the Snapchat artist more commonly known as Shonduras—posted a Snapchat story from a Samsung event in New York that unveiled its new Note 7 smartphone. Before the event, McBride posted a picture with the hashtag #collab to disclose to his fans that he was being paid to post on his Snapchat account. "I usually comply with whatever the brand feels is the right decision," McBride said in an email. 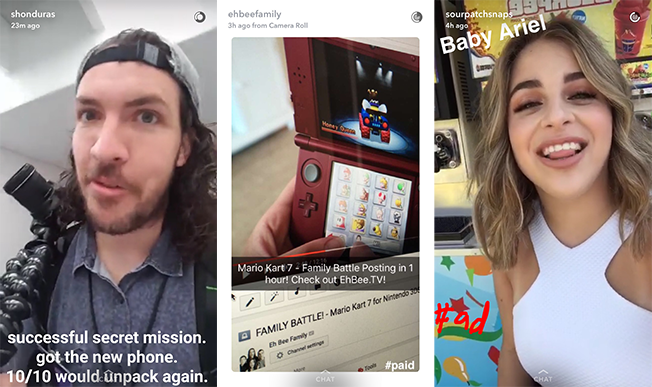 Meanwhile, YouTube and Vine family the Eh Bee Family teased a branded YouTube video created for Nintendo's Mario Kart Battle game on Snapchat yesterday with a single post marked as #paid that was uploaded using the app's recently launched Memories feature. "We just want to be transparent with our fans, and we're glad that we can upload from our camera roll as it allows us to better position FTC disclaimers without ruining the overall experience," the Eh Bee Family said in an emailed statement. Indeed, the number of celebrities disclosing their posts as paid has seemingly grown overnight. 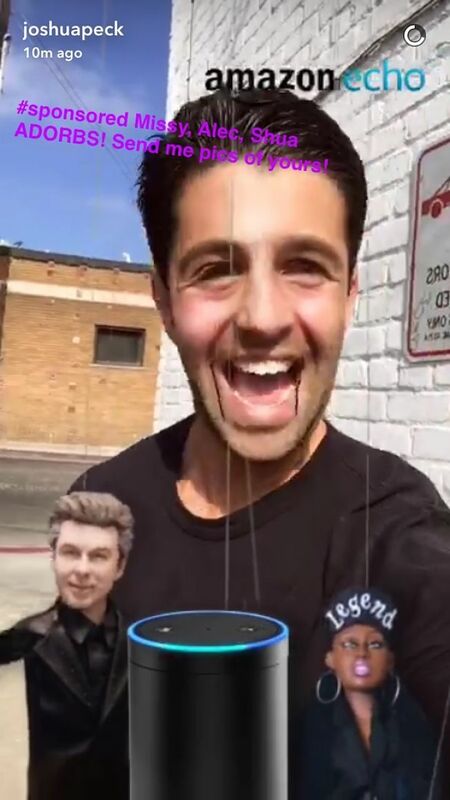 Josh Peck and David Lopez are among a handful of celebs promoting a sponsored lens from Amazon today, and Mondelez-owned Sour Patch Kids chose to have music app Musical.ly star Baby Ariel take over the brand's Snapchat account to create a story during Sunday's Teen Choice Awards that she labeled with the hashtag #ad. Social celeb Josh Peck promoted Amazon's Echo. Advertisers and creators have long struggled with labeling so-called native advertising so that it's legally disclosed but doesn't annoy an influencer's millions of followers. When Lord & Taylor failed to acknowledge that it paid 50 bloggers to photograph themselves wearing the same dress, the FTC cracked down on the retailer in March. For its part, Facebook recently loosened its grip on branded content so that publishers and creators can create custom content on the platform that is marked with sponsored tags, similar to YouTube's policies. Snapchat's ephemeral posts and lack of rules on paid content can be particularly tricky for advertisers. 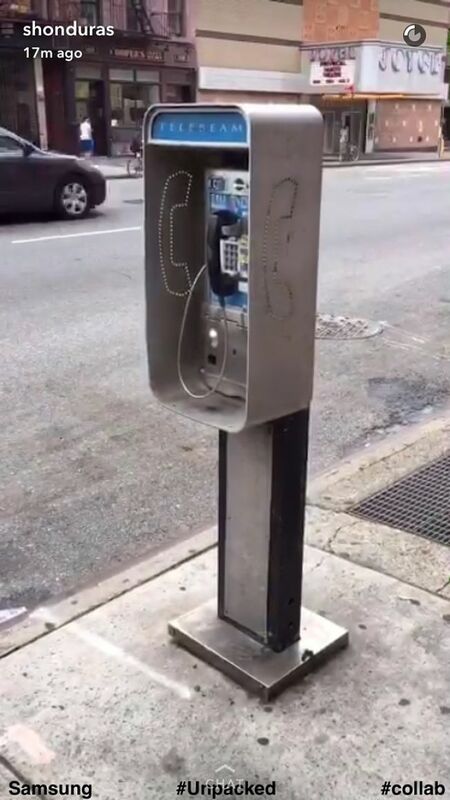 Alexa Mehraban, who runs the popular EatingNYC account on Instagram, recently told Adweek that branded content on Snapchat is "still a pretty gray area" compared to Instagram and other social platforms. However, the Federal Trade Commission's guidelines for paid content require that all paid social endorsements—regardless of platform—be labeled as "honest and not misleading." The need for endorsement clarifications on Snapchat speaks to how advertisers are making bigger investments in the platform as it launches its API and surpasses Twitter with more than 150 million daily active users. "We haven't brought any cases involving Snapchat, and our guidance doesn't specifically address Snapchat by name, but it applies to Snapchat like any other channel," said Michael Ostheimer, an attorney within the FTC's division of advertising practices. "If someone is posting something that's either expressly or implicitly an endorsement and they've been paid to do that, it should be disclosed whether it's on Snapchat, YouTube, Twitter, Facebook or anywhere else."